"While humankind has collectively increased its material powers a thousand fold, it has not advanced very far in terms of improving the content of experience," said Mihaly Csikszentmihalyi. The definition of happiness varies between people, but it usually runs along the lines of a certain extreme, whether it is being very rich or successful. These unrealistic dreams are what make disappointment greater for people. 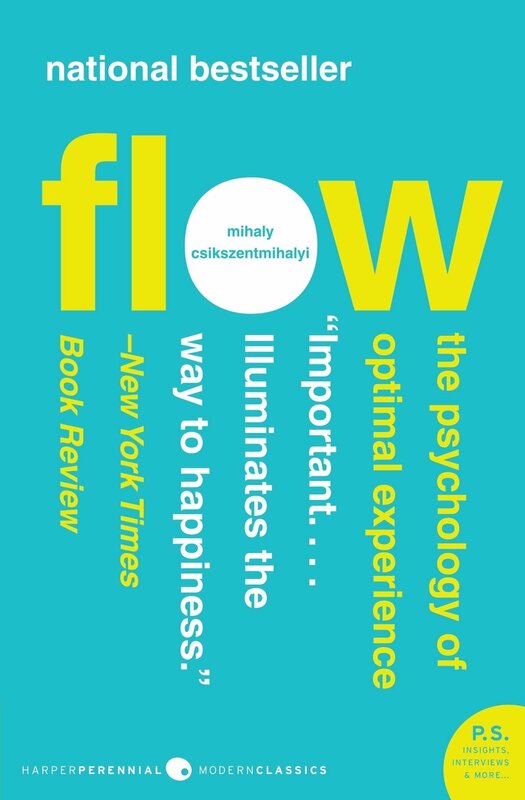 Mihaly provides a paradigm shift on how to find true happiness within our society through his book Flow: The Psychology of Optimal Experience (1990). Mihaly is a psychologist who specialized in positive psychology and produced a number of popular works in developmental psychology. He employs this knowledge in his attempt to prescribe an antidote for everyone feeling unsatisfied with their lives through his novel. The book is centered on the concept of “flow,” which he came up with in a moment of eureka as he tried piecing together what makes people feel pleasure in their daily lives. Flow, simply put, is the full immersion of attention in everything that one does in life. The theory states that when people are so engaged in life, they are no longer self-conscious and feel much more satisfied with their way of life. Mihaly goes against the status quo by opposing the common viewpoint that small, enjoyable activities in life bring happiness. Instead, he suggests finding a middle ground between activities that are too simple but enjoyable and those that are complex but unpleasant. When someone is so immersed in doing something they are truly capable of doing it, that activity simply “flows” and brings about a great deal of satisfaction. of flow is replicated, flow can be experienced in every aspect of daily life, making this book quite life changing. There is a need, however, to keep in mind the fact that Mihaly’s primary occupation is not a writer when reading this book. There is a sense of redundancy that comes from the numerous anecdotes and analogies that Mihaly refers to as a means to back up his argument. He insists that his motive is not to write an academic work, but it is evident that he struggled to refrain from using academic jargon that may confuse some readers. Mihaly also occasionally writes in a deprecating tone, especially when it comes to the topic of religion, so the ideas that he presents may come across as condescending to some. Despite the minor downsides of the book, Flow is still one of the many must-read books that one ought to pick up for a change in perspective. The rather neo-humanistic view of Mihaly allows the readers to take control of their lives and determine their quality of life for themselves. “What would really satisfy people is not getting slim or rich, but feeling good about their lives,” said Mihaly, clearly differentiating his book from others.